The Civil Aviation Administration of China has awarded a national type certificate for Russia’s Mil Mi-171 helicopter powered by the VK-2500-03 engine. The decision gives Russian Helicopters an opportunity to sell to Chinese customers the latest iteration of the Mi-8/17 family, powered by the new Russian-built engine. “China has about 20 civilian Mi-8/17 helicopters, and we had previously noted that national operators had shown interest in the latest versions of this type,” points out Andrey Boginsky, Russian Helicopters’ chief executive. 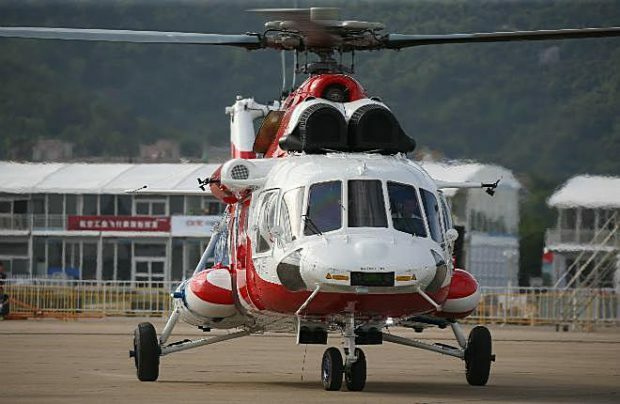 Russian Helicopters, which is part of the Rostec Russian conglomerate, performed a series of demonstration flights of the Mi-171 powered by VK-2500-03 engines in China in late 2018, at which the heads of the Chinese Ministry of Emergency Management and the Civil Aviation Administration of China witnessed the flexible capabilities of the machine exhibiting a range of functions including cargo transportation on an external sling, fire-fighting in high mountain areas and flights with a helicopter bucket. Whether it is fire fighting or transporting cargo at an altitude up to 3,300 metres, the VK-2500-03-powered Mi-171 clearly demonstrated its key advantages, showcasing its high thrust-to-weight ratio and its special efficiency in mountainous areas. During the demonstration, the helicopter carried three tonnes of cargo and nine passengers from an altitude of 2,600 to 3,300 meters. The machine also showed how it is able to ferry 3.5 tonnes of water in the helicopter bucket at an altitude of 3,000 metres before depositing it into the heart of the fire. The certified type was first presented at the China International Aviation & Aerospace Exhibition held in Zhuhai. The VK-2500-03 engine is designed and built by UEC-Klimov and, in all flight modes and at any altitude, the uprated design offers a more powerful version of the TV3-117VM engine (series 02). The introduction of a digital automatic control system ensures tighter command of all modes and simplifies the operation. Furthermore, the use of VK-2500-03 engines in Mi-171 helicopter ensures higher load capacities and increases the absolute and static ceiling. At the same time, the availability of more engine power in a single-engine-running emergency mode ensures greater safety.